Food Bucket Cups are suitable for all hot and cold foods. They are fully printed with your own branding to effectively provide a high impact promotion for your brand in the marketplace, furthermore increasing your sales. 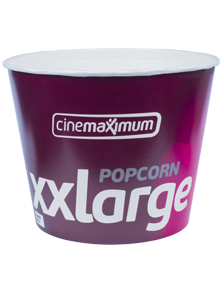 Best suited for Popcorn, Chicken Wings, Nuggets or other bulky products.